Long Cardigans are huge for spring. They look adorable paired with jeans and lace up booties, or a pair of cut-offs and a tank. The look is care-free, yet stylish. 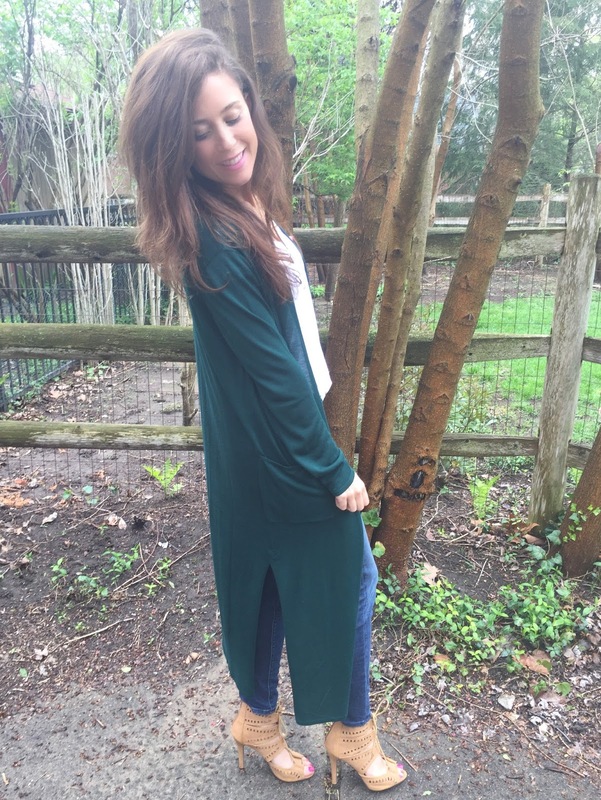 This long cardi would also be cute over a basic dress and heels for the office. This is an inexpensive, transitional piece that you should definitely add to your wardrobe this spring! On a side note I found the best foundation at Sephora over the weekend, and its all natural. I can't wait to do a review post on it soon.